An uneasy calm prevails 20 miles east of India’s largest city, in a rural village where Hindus recently have twice attacked Christians, who in turn have agreed to stop holding meetings in a prayer hall. 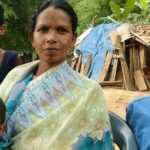 The first attack came Dec. 30, when Adivasi tribal Christians living in the village of Tamsai gathered for a worship service at the Yehovah Nisih Prayer Church. About 20 people burst in, said church member Bharat Patel. The intruders “shouted that there is no place for worship meeting in the village for Christians, and if we want to pray, we should all go to Mumbai. (They) tore bibles and broke musical instruments and stared to beat us up,” he said. Patel said his left ear was injured, and that three other members suffered injuries, one of them a severe cut on the head. The hour-long assault ended when area Christian leaders intervened and took the victims to the police to report the incident. The police, however, were of little help, according to Catholic Christian Secular Forum, a Christian-rights group based in Mumbai. Ravindra Yadav, a pastor in a neighboring area, said Christian men from Tamsai came to him seeking shelter because of death threats from the militants. “Most of the Christian men fled the area in fear leaving behind their wives and children after the extremists threatened to kill all them if they do not renounce Christ,” he said. Those who remained in the village were forbidden to fetch water from the public well or gather firewood, he said. “The Hindu extremists even threatened to cut off our ration card,” Patel said. Ration cards are used by villagers to buy rice, sugar, wheat and other staples at reduced prices. The Catholic Christian Secular Forum brought the incident to the attention of Maharashtra Home Minister R.R. Patil, who instructed the state’s director general of police to launch a formal inquiry. Christians in Tamsai didn’t gather again until Jan. 13, this time under heavy police protection. “The Hindu extremists massed up to attack the Christian again but they backed off when they saw the police near the church,” said Yadav, the pastor. On the same day, police arranged a meeting of the Christians and Hindus. The extremists agreed to stop their social boycott of the Christians, restoring their access to water and other community services. For their part, “the Christians agreed to conduct prayer meetings in their homes even though the Christians said that they had the relevant land records for the prayer hall,” Joseph Dias, general secretary of Catholic Christian Secular Forum, told World Watch Monitor. The truce lasted one day. At about 2 p.m. on Jan. 14, three Christian women were washing clothes in a public well. Nearby, a 12-year-old held a mobile phone, which was playing a gospel song. Other villagers within earshot protested that “such songs should not be played within their hearing range,” Dias said. Later, about 50 people massed near the houses of the three women, summoned them from their homes and started beating them up, according to Patel. The girl, whose mother was among those assaulted, rushed out to help and also was beaten, Patel said. One of the women suffered bruises and abrasions all over her body and her face was swollen. Two others received minor injuries, Patel said. 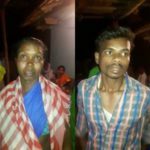 According to Dias, the Christians in Tamsai were attacked because the Hindu extremists did not like their worship, including healing services. Christians, he said, refused to partake in Hindu idol worship, while some Hindus were discovering Christ. Five Indian states have laws regulating religious conversions, but Maharashtra, where Tamsai is located, is not among them. India is ranked No. 31 on the 2013 World Watch List, an annual report on the 50 countries where life as a Christian is most difficult. The list is published by Open Doors International, a ministry to persecuted Christians.